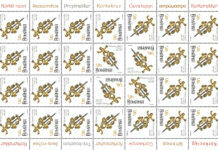 Stamps represent one of the most important communication tools which can be used at a national level, as well as at an international one. Beneath the fact that they are a great way to discover other parts of the world, stamps are also providing us the chance to understand a fascinating history. One look at the right stamp and you can find out amazing details about other cultures. Moreover, stamps are a unique combination of beauty and information, which have the power to bring people closer to each other. The Museum of Romanian Records strongly believes in these ideas, and there are other people and organizations that share them, too. 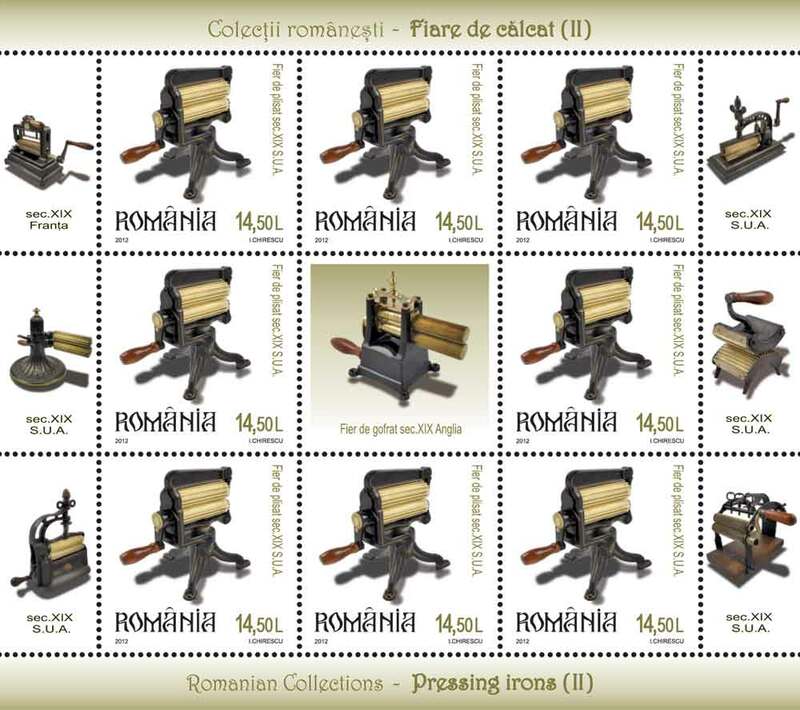 One of them is Romfilatelia, the institution designed to issue Romanian Postage Stamps, which is committed in founding impressive topics for stamps. Always searching for different methods to promote our beloved country, Romania, a new and strong bond was born between our Museum and this institution. 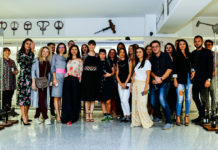 The first encounter between the team of the Museum of Romanian Records and Romfilatelia was in 2012. 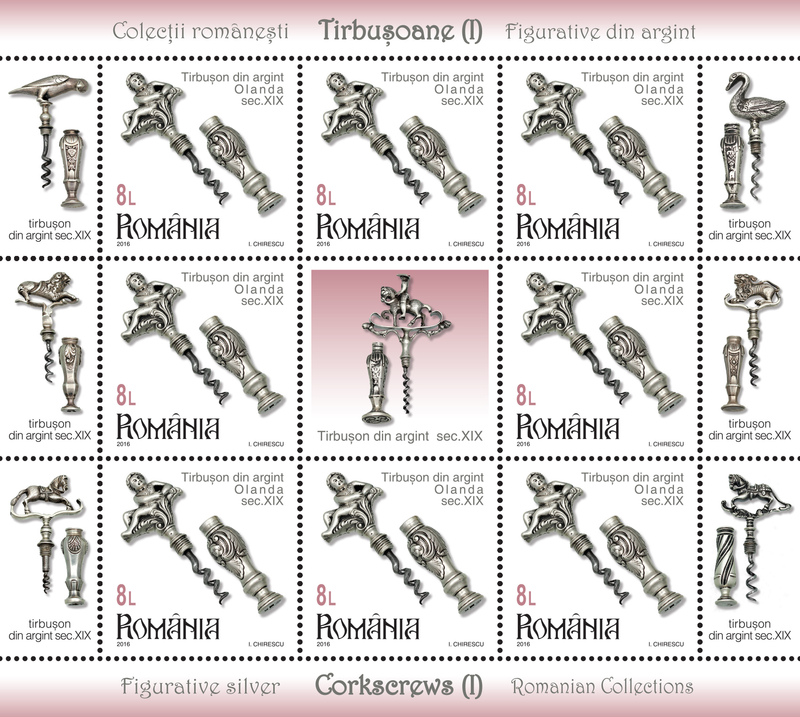 At that time, a great collaboration started between us, which led to the creation of a postage stamps series called Romanian Collections. 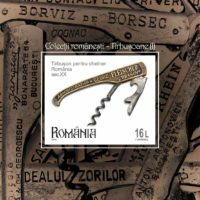 The first part was issued in February 2012, and wanted to highlight the history of one of the most useful items of today, by telling a story about the beginning of the pressing irons, as well as about all the changes they suffered in the last centuries. 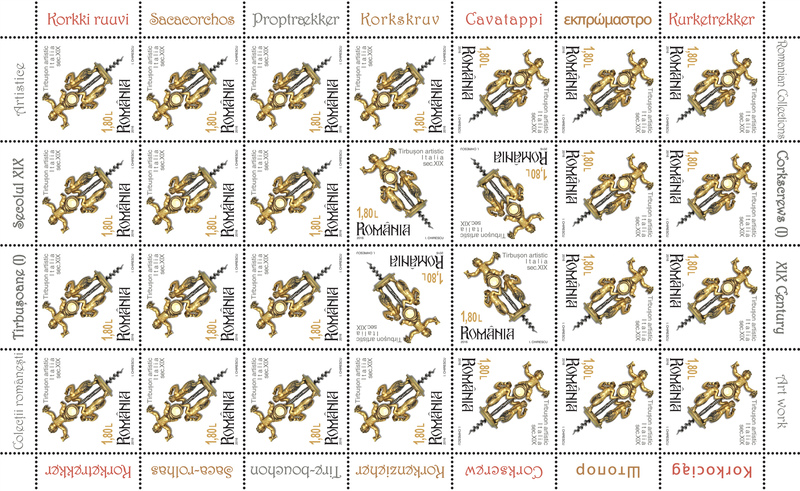 For this first issue, 306,500 stamps were printed. 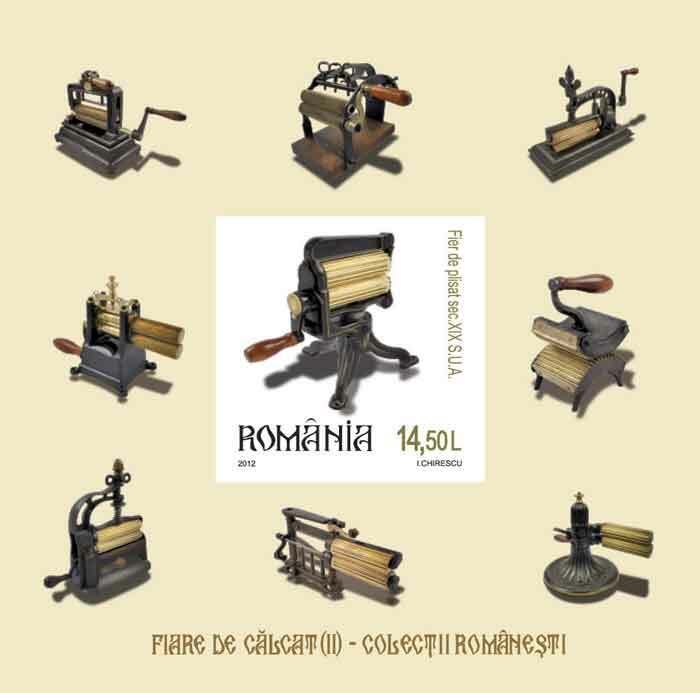 They illustrated various pressing irons from Romania, from the 19th and the 20th centuries, but also from Germany and France (18th century), Scotland and United States of America (19th century). The second part was issued in September 2012, during the International Congress of Pressing Iron Collectors, which is held every three years. The 14th Edition of this meeting took place in Sinaia, Romania, and in that autumn it was organized for the first time in our country. 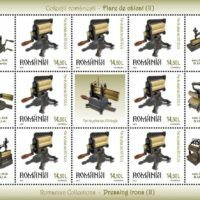 For this one, the printing consisted in 2,758,800 stamps, which illustrated pressing irons from Belgium, Italy, Sweden, Burma (Myanmar), Switzerland and United States of America. 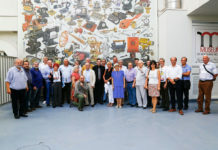 The Museum of Romanian Records has the largest Pressing Iron Collection in the world, and this requires a big celebration. 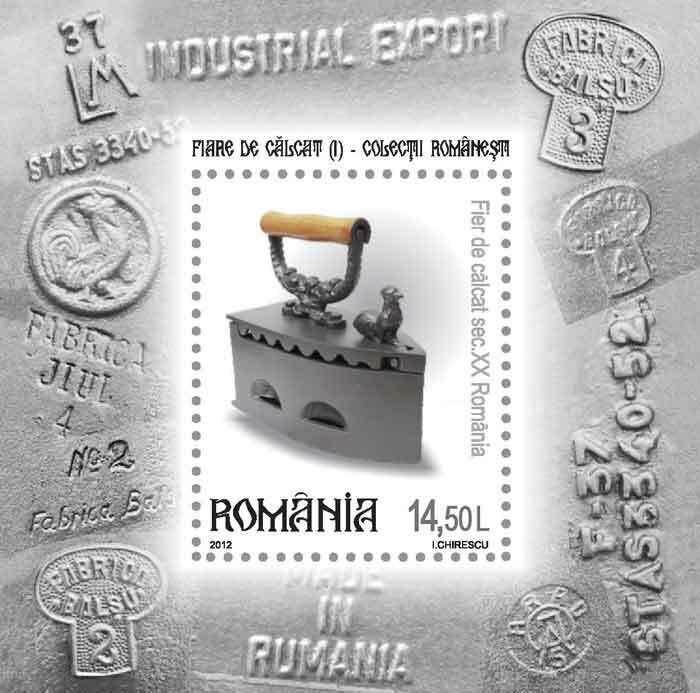 The Pressing Iron Stamps are a way through which you can celebrate along with us the amazing facts which happen in Romania. 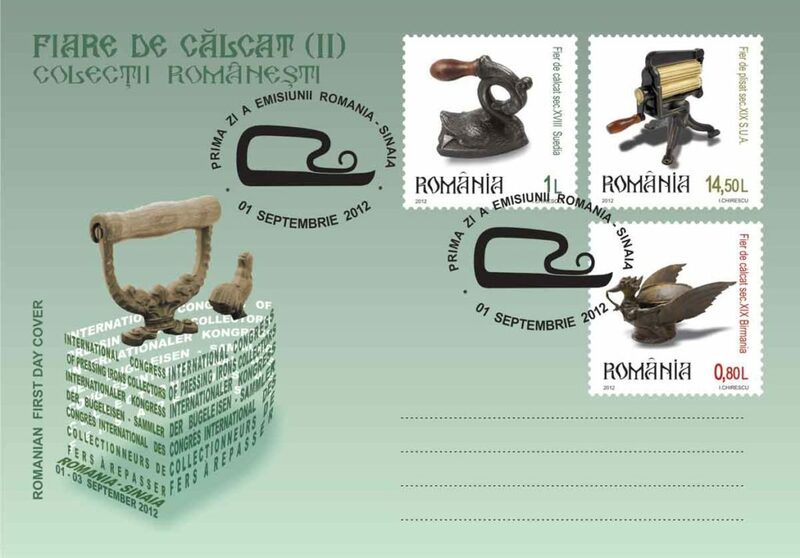 The Romanian Collections continued and, in 2016, we had another impressive theme for a new Postage Stamp issue. 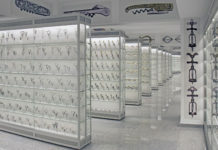 This time, it was the turn of our largest Collection of Corkscrews in the world to become the star. 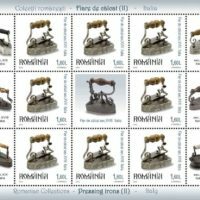 They were first issued in September 2016, and the total printing was 181,640 stamps. The corkscrews are one of the items that changed the world, making it a lot simpler. Everyone has an item like this one in the kitchen’s drawer, but many don’t know its history of over three hundred years. 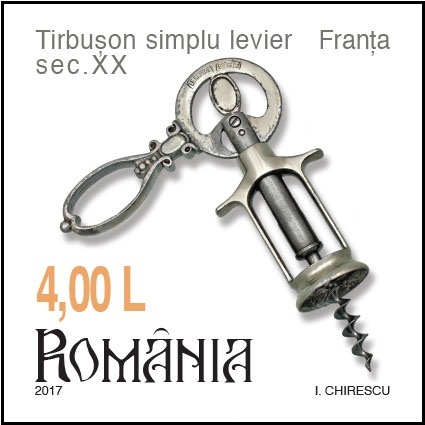 Through our Collection and the Corkscrew Postage Stamps, we wanted to promote worldwide this interesting, beautiful and useful items. 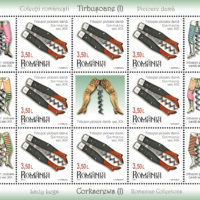 On these stamps, you can easily identify the following: an Italian corkscrew which portrays the god Bacchus as a child, drinking wine and partying; a French cage corkscrew from the 18th century; a mechanical corkscrew made from the metal of the old London Bridge; an corkscrew from the 19th century from Germany, known as ladies’ legs; an American double lever corkscrew which has a shape of an owl; and a silver corkscrew which seems to be an angel, made in Netherlands in the 19th century. The second part was issued in March 2017. This time, 194,271 stamps were printed. 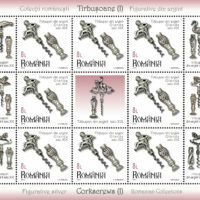 The corkscrews which appear on the stamps are the following: a French artistic pocket corkscrew, a gold and agate corkscrew used in the past to open perfume bottles, a British barrel corkscrew with a Thomason mechanism, a French single lever corkscrew, a very rare zig-zag corkscrew, and a French pistol corkscrew made of silver and Mother of Pearl. 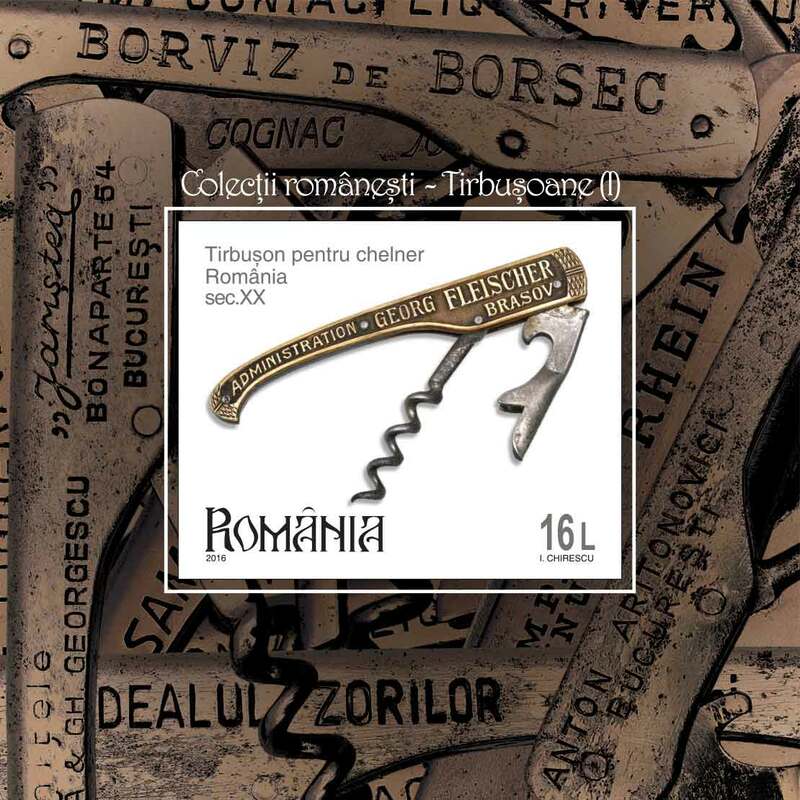 The items from the two of the largest collection in the whole world, The Pressing Iron Collection and The Corkscrew Collection, were used in order to obtain extraordinary results for the Romanian Collections. Such a small piece of paper has so much power to express a country’s ideals and beliefs. 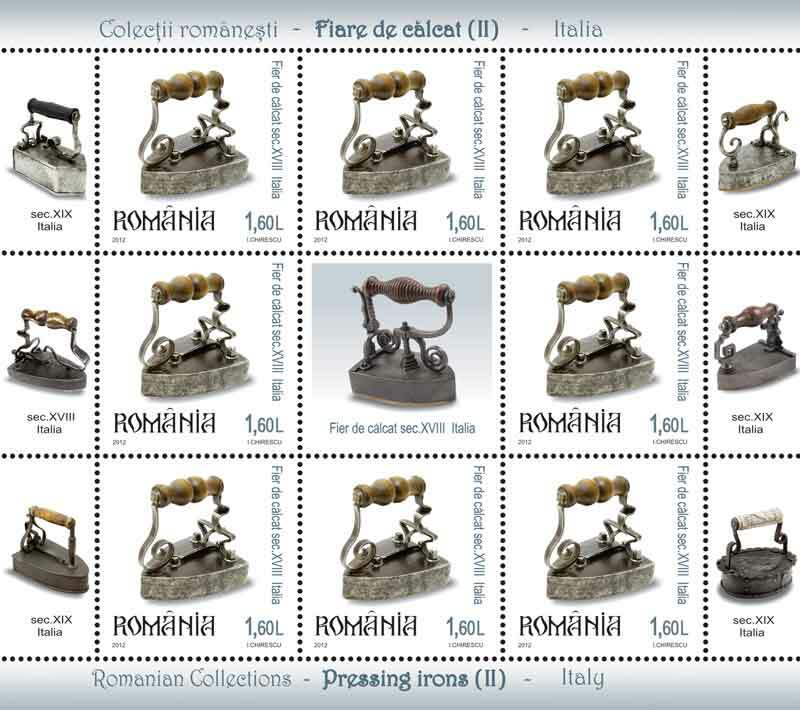 Therefore, through these postage stamps issues, we managed to present a part of the historical evolution of both pressing irons and corkscrews. The team of the Museum of Romanian Records is proud to collaborate with institutions which have the same purposes as us, and which are in a continuous search of other ways to promote Romania.